Nina Fontaine is finally standing on her own two feet. It’s been eight months since her love life exploded – eight months since she said goodbye to Liam and Jack to focus on herself. Now a full-fledged manager at the gallery that gave her a chance, she’s come to love her new home in the city and her life as a single woman of a certain age. Then Jack appears like a lightening bolt, spilling his guts and begging for another chance to be with her — this time for real. Feeling like they have unfinished business, Nina agrees to take it it slow and they begin a relationship that feels far more personal than their previously distant affair. But Jack’s newfound vulnerability does nothing to assuage his need to push boundaries. Unwilling to ignore her own desire, Nina finds herself pulled deeper and deeper into an affair that begins to feel more like an unhealthy obsession. 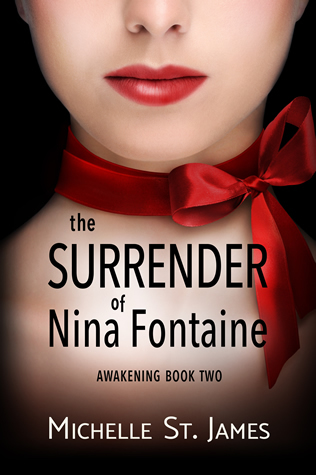 Soon Nina is forced to confront unresolved emotions — and consider the possibility that the games she’s playing with Jack are games she can’t win.